Research by Cone Communications, experts in cause marketing, found that nine out of 10 consumers expect the companies they buy from to be responsible and to give back to their communities. Businesses want to sell their products but also want to be good corporate citizens. The younger generations, such as Millennials and Generation Z are especially concerned with social issues, environmental threats, and making a difference. In fact, Gen Z has taken the enthusiasm of the Millennials and ramped it up. Today’s young people have shown that they want the companies that produce the products they purchase to be good citizens. This generational change has moved the needle of corporate social responsibility considerably in recent years. Gen Z is all over recent developments such as gun control, #MeToo, and global warming. 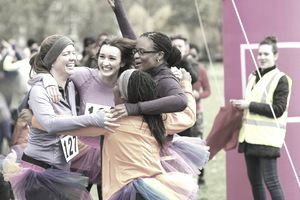 That is a win-win for cause-related marketing and corporate sponsorships of charitable events. Consumers like businesses that care. How better to exhibit that care than helping to sponsor your event? Smart charities understand these winds of change and have beefed up their connections with companies that now actively search for charities that solve the problems their consumers care about. But, my charity is small and local, you might say. True, but local businesses and even the local outlets of national chains are even more interested in building goodwill right where you and they live. Sponsorship is a two-way street between charity and a business. The charity gets help with the expenses of the event; and the company gets exposure, low-cost marketing, and goodwill. Charities that understand what motivates companies to sponsor can win at the sponsorship game. How Can a Small Charity Compete? Big national charities have staff assigned to cause-related marketing, or they may hire consultants who specialize in sponsorship programs. But don't despair if your organization is small, local, and your staff is mostly volunteer. You can still get sponsors for your event. Just plan to work the neighborhood. Think of concentric circles of influence in your city or town. Start with the people you know well, work out into the community where you have physical proximity to businesses, and then tackle the larger circle composed of companies that you don't know personally...yet. Many organizations only think of the Wal-Mart or the corporate headquarters out in the suburbs when they consider corporate sponsorships. So, it's no wonder they become discouraged and feel that landing business support is a lost cause. Think smaller, closer, and about mom and pop businesses. Develop a budget for your event. How much will the venue cost? Advertising? Physical set up? Lights, microphones, entertainment, giveaways such as t-shirts? Security, printing, food, and food service? How will you generate income from the event? Will you charge a per person fee? Is there money already in the budget devoted to the event? Have some donors already pledged support? How many business sponsors from last year have signed on again? How much of the income will help support the event and how much will go to your cause? Once you figure out how much more money you need to raise, you can set up sponsorship levels for the businesses you approach. Find creative names for each level of sponsorship. Avoid overused names like Gold, Silver, Bronze. Think of names that reflect the nature of your charity or its mission. How many sponsorships will you need at each level to reach your goal? Set up several sponsorships at low levels that will attract small businesses, a mid-size sponsorship for a larger company, and perhaps a substantial sponsorship for a lead company. Your sponsorships should form a pyramid, with several small ones at the bottom, and fewer as it reaches the top. You can even apply the donor pyramid or gift chart that works so well for fundraising campaigns to your event sponsorships. Plan to overshoot on the number of base-level sponsorships so that if you don't get a big one, it will not be devastating. Don't forget to compile a list of gifts-in-kind that you can resort to if a company prefers not to give cash. A restaurant chain may want to donate the venue for instance while your local lumber yard might provide the materials for the stage and backdrop. Assign to each sponsorship level, a list of how you will promote the sponsor before and during the event. These can be logos in the program, signage, a corporate table, press releases announcing the sponsorship, product giveaways or sample tasting. If you're active on social media, be sure to flaunt that fact to sponsors. One survey found that digital benefits rank third with today's sponsors, just behind exclusivity and signage. Leave room to be flexible. Each potential sponsor might have its particular marketing needs, or wish to give cash and in-kind contributions. Before you ask businesses to sponsor your event, think through the audiences that your event will reach. Make a detailed list. Will you reach families? Young children? New mothers, retirees, high-income people, grandparents, high school age kids, senior citizens? Think big about your audiences. Your core event might be a summer theater festival for children 6-12 but think of all the adults who will be there with their children. Don't forget the grandparents who will come to see their grandkids perform, not to mention older siblings and the teachers who will be helping out. Add the vendors to your list that might participate in the outdoor fair you will stage before and after the performances. Once you have a list of possible audiences, make a list of the types of businesses that are also interested in those audiences. Indeed, any business that sells or serves to families or that is educational may be interested. Restaurants that depend on family business and that welcomes children are possibilities. Consider children's clothing and shoe stores, fast food restaurants and entertainment venues such as movie theaters. Find stores that will be running back-to-school sales, toy stores, private schools and department stores of all kinds. Consider all the service businesses that are interested in families, such as auto insurance offices, corporate offices that have employees with children, and corporations that might be looking for volunteer opportunities for their employees. The audience/sponsor matrix will help you identify businesses that might be interested in sponsoring your event and help you build your sales pitch to those companies. Should You Call, Mail, or Visit Companies? Some charities think they can write up a letter about their event and sponsorship opportunities, send it out to all the businesses in their community, and, magically, sponsorships will roll in. It doesn't work that way. Just think about the pile of mail every business gets. Why would it pay much attention to a letter or even a complete sponsorship package from a small local nonprofit asking for help? If you do send a letter, make it specific to that particular business and then follow up by phone or some other personal contact. Don't be afraid of cold calling. According to IEG, a company that helps organizations and sponsors find each other, 55% of sponsorships come from cold calling. Use phone calls, visits, mail, and email interchangeably according to the circumstances. Just one contact method will not work. Use an integrated approach, and be systematic and persistent. Ask your volunteers (especially board members) if they have a connection with a local business. Would they feel comfortable either making a pitch to the company for support or, at least, providing an introduction to the decision-maker? Offer to attend a meeting with the volunteer. Follow up on all of these leads. If a volunteer says he will contact their employer or his cousin who owns the insurance office, write that down and then follow up. Did the volunteer make contact? What happened? How can you help? Walk around the immediate area where your charity is located and where you plan to hold your event. Write down the names of all the businesses, look up their contact information, and then call them about your upcoming event. Set up an appointment to talk to them in person. At that meeting, make a marketing pitch to the business. Explain who will be attending your event, how you will advertise their sponsorship, and present the sponsorship levels. If you don't get a commitment at that point, leave some prepared materials and your business card. Immediately send a thank you note, enclosing another business card and a copy of your sponsorship plan. Then follow up with a phone call one or two weeks later. Keep doing that until you think there is no chance of support from that business. Make a list of all the mid-size and large corporations in your area. Think of large employers, grocery store chains, and retail outlets that are part of a more massive corporation. Call those businesses and ask who handles their marketing, their charitable contributions, or their sponsorships, and how you should contact them. Ask for any guidelines the corporation has for charitable requests. Some larger businesses will only work with registered 501(c)(3) nonprofits, for instance. Then contact the appropriate person or department in the manner they prefer. The corporate office might want a letter proposal mailed to them, or they may have an online form that they wish charities to use. Whatever it is, follow the instructions, but then follow up in a week or two to find out if the company got the information, and what you should do next. At each contact point, try to get a meeting with someone so you can make your pitch in person. Prepare a sponsorship proposal package to present and to leave behind. The proposal can be simple or more complicated, depending on the nature of your event. Here's a proposal template you can work from. A local affiliate of a larger organization may refer you to the corporate headquarters in another city. Don't quit at that point. Write or call that office, mentioning that the local store or office sent you. Companies get hundreds of requests a year. Most go nowhere merely because the nonprofit did not keep following up. So don't give up. Even if you don't score a sponsorship this time around, you will educate the business about who you are and what your charity does. That will set the stage for involvement at a later date. Keep detailed records of these contacts so you know what you did and what you should do next. When you get discouraged, remember that you are building steps to a future relationship. Once you reach a sponsorship agreement with a business, send a thank you letter that confirms what each party will provide and when. With your major sponsor, you may want to draw up a contract specifying the responsibilities of your organization and the sponsor. Send another thank you note when the contribution is received. Send your sponsors updates on your planning during the period running up to the event. Make sure they receive your newsletters and other communications. Encourage them to call you if they have any questions. If the sponsor does call, make sure that their problems are addressed quickly. Invite representatives of the business to participate in any pre-event activities you might have, such as a reception or a press conference to announce the event. Give your sponsors plenty of publicity...even above and beyond what their sponsorship agreement calls for. Be sure to send an invitation to the event to those companies that chose not to participate. Thank them for their consideration of your request and invite them to visit and enjoy the event. When a business sees that your event was successful and that other companies helped support it, they may choose to be a sponsor the following year. Want sponsors to come back next year? Take lots of photos at the event showing the sponsor signage, participants enjoying themselves, and the activities that the sponsor's contribution made possible. Send reports about attendance, money raised, and what that money was used for. Organize volunteers to writes notes of appreciation to the sponsors, send certificates of support, or several copies of your newsletter that show photos of the event. Finding and getting corporate sponsors is a lot of tough work, especially when your event is new. But, that work, if done well, can lead to very satisfying partnerships in the future. As with any donor to your organization, you must find those businesses that will work with you, care for them by making them part of your organizational family, and keep them happy and involved for the long run.